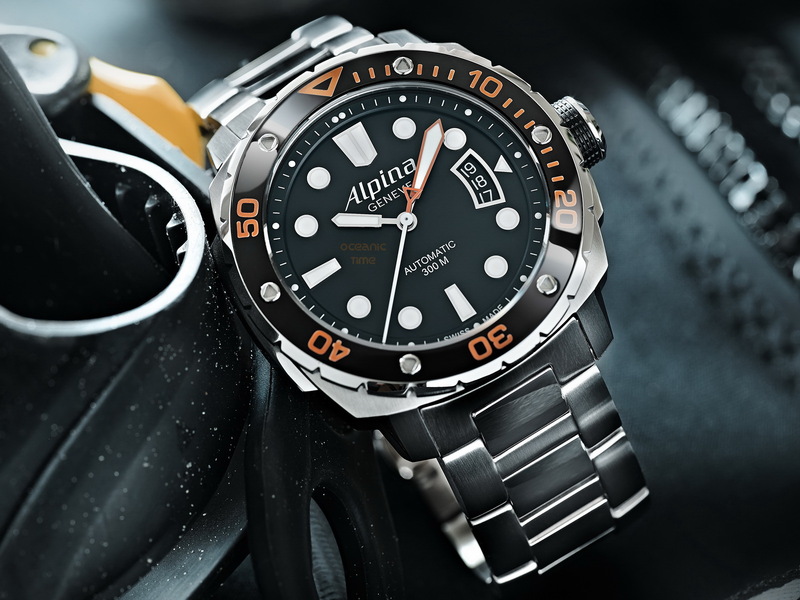 Alpina have launched the new Extreme Diver Orange collection, featuring a 3-hands auto and a mid-size, quartz. 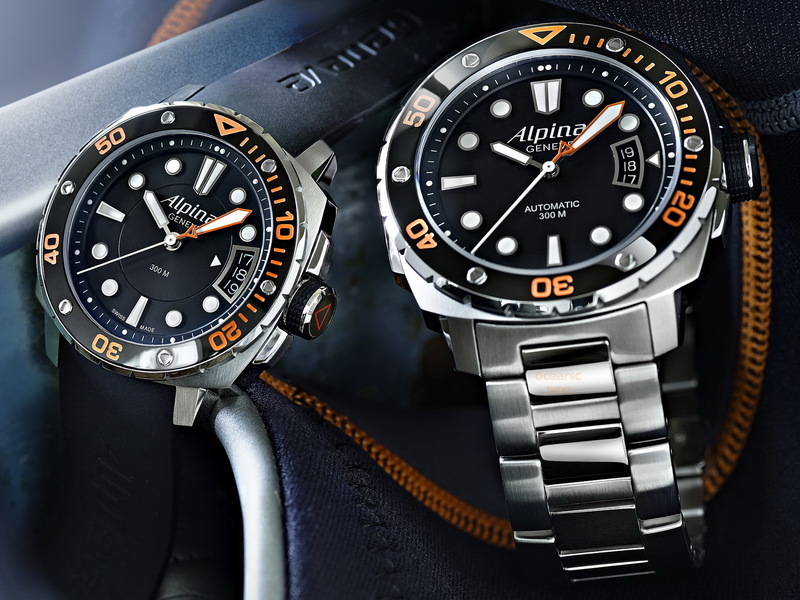 Designed for professional divers, the new watches feature luminous orange dive-time scales for enhanced readability. 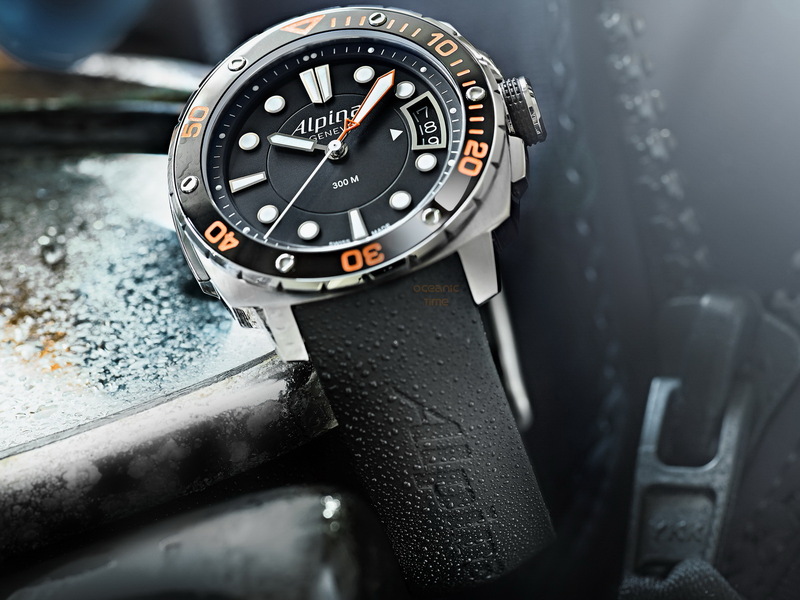 The Extreme Diver 300 Orange is water resistant to a depth of 300m/1000ft. It has a screw-in crown and a screw-down case-back, as well as a jet black polished unidirectional rotating 60min diving bezel. The bezel markers are luminous.